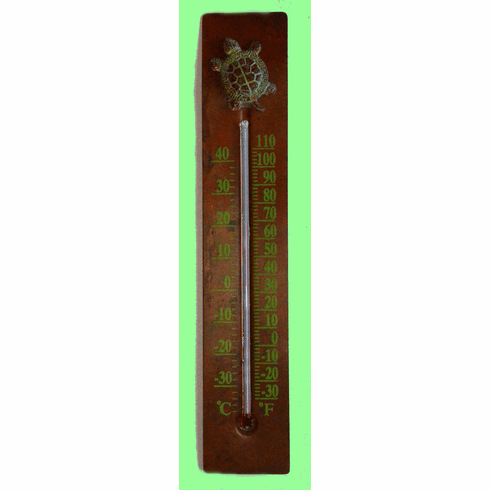 Turtle Thermometer- Our large numbered thermometer is made of solid thick copper, the turtle is solid brass. Accurate to -30F for northern climates and up to 110F for folks in the south. Complete with mounting hardware, the thermometer measures 12" high by 2" wide.